Amy Adams (Charlie Wilson’s War) will star in the biopic Daughter Of The Queen Of Sheba. Script, penned by Karen Croner based on the bio of NPR correspondent Jacki Lyden, centers on how a woman uses her mother’s madness and delusions to empower herself. Karen Croner previously wrote the Oscar-nominated One True Thing. Source. Natalie Portman (The Other Boleyn Girl), Scott Cohen (Law & Order: Trial By Jury) and Charlie Tahan (Nights In Rodanthe) will star in Love And Other Impossible Pursuits, written and directed by Don Roos (Happy Endings) and based on a novel by Ayelet Waldman. Story revolves around a young woman who finds the key to recovering her marriage in her relationship with her precocious stepson. Natalie Portman, who also serves as an executive producer, replaces Jennifer Lopez (Bordertown) who abruptly dropped out of the role…Quite an upgrade if you ask me. Source. Colin Firth (Mamma Mia! ), Julianne Moore (Blindness) and Matthew Goode (Match Point) will star in the drama A Single Man for newcomer helmer and former Gucci creative director and fashion guru Tom Ford. “A Single Man,” penned by Ford and David Scearce, centers on a British college professor who loses his partner of 16 years. The script’s adapted from Christopher Isherwood‘s 1964 novel, which follows a single day in a professor’s life in Los Angeles. Christopher Isherwood’s writings also inspired the 1972 classic Cabaret. Source. 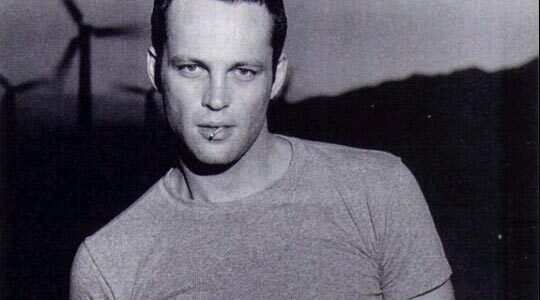 Vince Vaughn (Fred Claus) will produce and star in Sunny And 68, a drama with comedic elements from co-writer/director Gavin O’Connor (Pride And Glory). Vaughn will play a superstar on the poker circuit whose alcoholism and recklessness cause him to flame out on national television. Wiped out and owing $500,000 to bookies, he heads home to upstate New York for the first time in 20 years, looking to take back cash he’d been sending his mother. Instead, he finds his mother dying of cancer and raising a 5-year-old girl who is actually his daughter. Mom has been positioning his former high school g.f. to become the girl’s eventual caretaker. And eventually the three women teach the character to grow up. O’Connor wrote the script with newcomer Anthony Tambakis. Source. 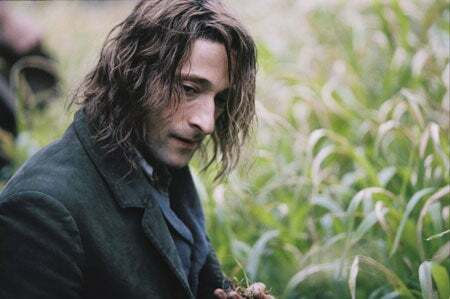 Adrien Brody (The Darjeeling Limited) will play the lead in The Courier, a new action film from back-in-the-spotlight director Russell Mulcahy (Resident Evil: Extinction) and writers Michael Brandt & Derek Haas (Wanted). The film, which will start lensing this January in Louisiana and Las Vegas, has Brody portraying a Transporter-ish character who’s pursued by everyone while attempting to deliver a package to a mobster that just can’t be found. Source. What project are you most interested in if any? Tell me below in the comments. This entry was posted in American Films, Biopics, Celebrities, Chick Flicks, Movies Based On A True Story, Romantic Comedies and tagged A Single Man, Adrien Brody, Amy Adams, Charlie Tahan, Colin Firth, Daughter Of The Queen Of Sheba, Don Roos, Gavin O'Connor, Jacki Lyden, Jennifer Lopez, Julianne Moore, Love And Other Impossible Pursuits, Matthew Goode, Natalie Portman, Russell Mulcahy, Scott Cohen, Sunny And 68, The Courier, Tom Ford, Vince Vaughn by Mr Hollywood. Bookmark the permalink.